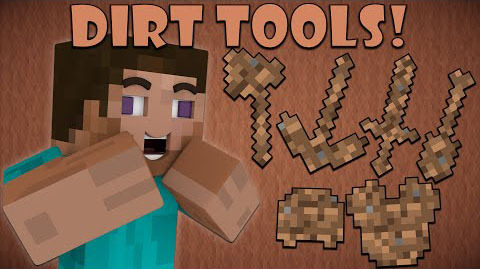 The Dirt Tools Mod provides players a simple way to make OP weapons. You only need dirt and sticks, the only downside to the tools is the durability. Each tool has 11 durability, but are extremely cheap and extremely OP.